Another famous fictional superhero logo on my custom made cupcake as a topper. Mae’s order for her son’s friend despedida party. 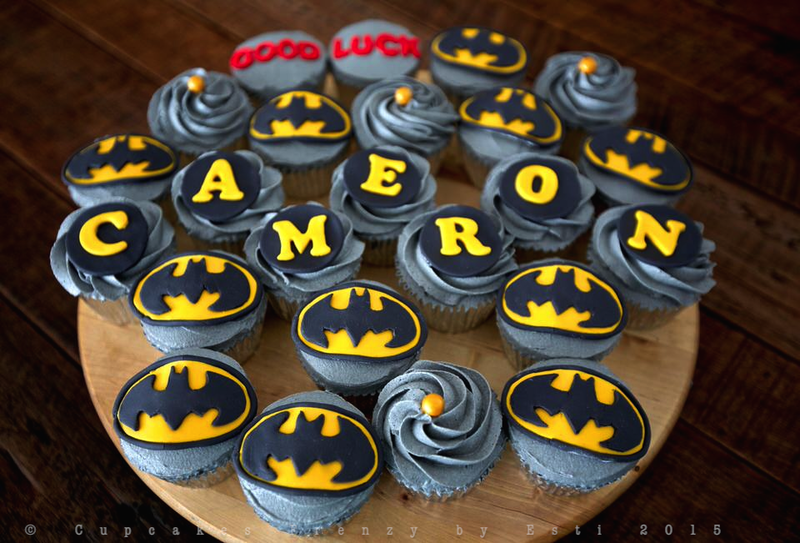 I’ve made the Batman topper with cutout sugar fondant, loving the yellow, black and grey colour tone of this particular theme, it made the red colour letter pop out nicely. This entry was posted in cameraholic, cupcake and tagged baked from scratch, batman cupcake, chocolate cupcake, edible art, Manila, note from the baker. Bookmark the permalink.